Les Dames d’Escoffier (LDEI) launched a nationwide initiative called Green Tables in 2006 to help people better understand the link between rural and urban farms and their tables. Many Dames are at the forefront of this global movement to transform how we eat. Chapters around the country are participating in this civic agriculture and garden project, collaborating with established programs in their own communities or starting new ones. Farm-to-market leaders fostering links among regional farmers and a network of local restaurateurs, caterers, etc. 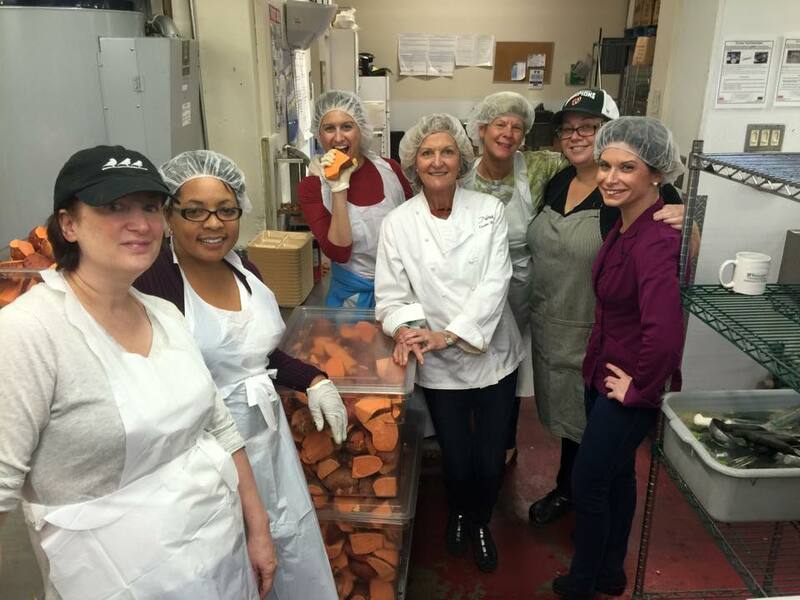 Dames volunteer October 26, 2015 at DC Central Kitchen's Nutrition Lab to celebrate World Food Day and prepare home-cooked meals for DC school children. Dame Aviva Goldfarb works with kids at Martha's Table in DC helping them prep a delicious meal with fresh garden vegetables.